Saturday, September 22- Happy first day of fall! It was a beautiful day to welcome the new season, with cool breezes and clear skies. There is already evidence of the foliage change on the way! A few trees in town are starting to shift, but as usual the higher elevations show more fall color first. A short drive south on the Blue Ridge Parkway takes one to elevations over 4000 feet. We stopped to enjoy the view from Boulder Field Overlook at about 4300 feet. The view features the Linn Cove Viaduct on the southern slopes of Grandfather Mountain. The slopes around the viaduct show foliage that is really starting to shift more consistently. View of Linn Cove Viaduct from Boulder Field Overlook, September 22, 2018. 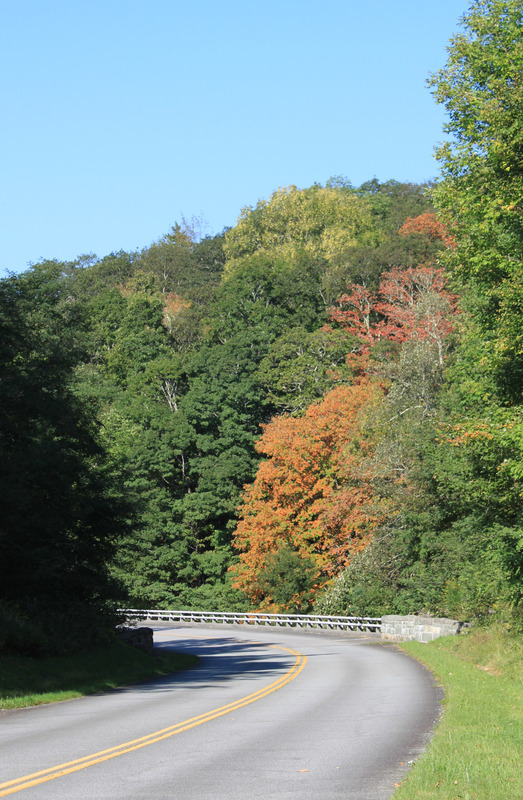 Occasional trees are showing vibrant color already, like this beech tree at the bridge near the overlook. In general, peak color is still a week or two out for our area. The Biology Department at Appalachian State University has published a fall color map that offers predictions for the timing of peak color across the Appalachian Mountains in North Carolina. The department also publishes fall color reports. These are provided by Dr. Howard Neufeld, known locally as the Fall Color Guy. Follow his page on Facebook for even more updates and photos! Throughout the fall season we’ll post photos daily, as well as more in-depth reports on color each week. 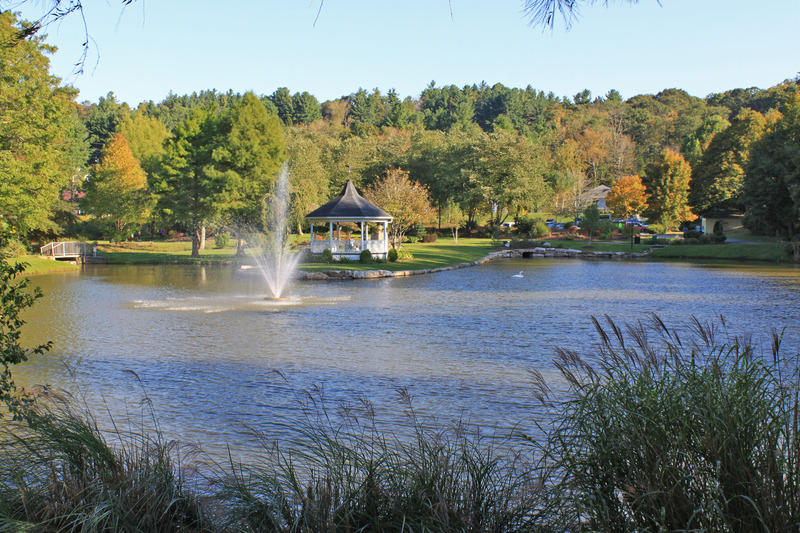 We look forward to another beautiful autumn season here in Blowing Rock and the High Country!